The B797, while being open worked on, hasn’t officially been signed off by Boeing executives yet. Despite this, Airbus is already planning to compete with the aircraft by tweaking the A330neo. The first A330-900neo was recently delivered to TAP, while the A330-800neo is still undergoing the final preparations. 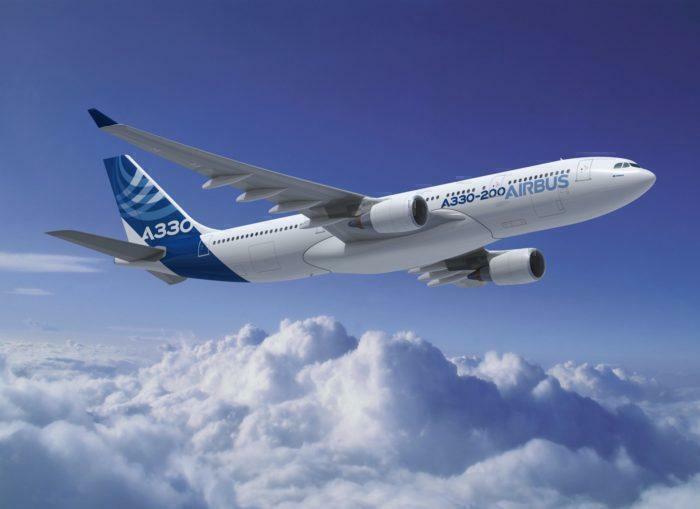 However, despite the huge pickup of the A330-900, the A330-800 has so far only sold 8 units. However, Airbus is expected to begin work on a short-range version of the A330neo, which would put it in direct competition with the new middle of the market B797 planned by Boeing. The B797 is estimated to be 40% cheaper to run than the A330neo. The A330 has been around for quite some time. In fact, the first A330 flew in 1992, before commencing operations in 1994 with now-defunct Air Inter. In the 24 years that have passed since its introduction, almost 1,500 A330s have been built. Additionally, the first A330 prototype is still in service today with Cathay Dragon. Cathay Dragon is a subsidiary of Cathay Pacific, who recently retired the world’s first B777. As Airbus constantly looks to innovate and keep their offering fresh, they have recently been working on the A330neo. The neo aircraft, standing for new engine option, is more fuel efficient than its predecessor. As such an A330-900neo would set airlines back $296.4m. In contrast, the older less efficient A330-300 only costs $264.2m new. So far, Airbus has sold 234 A330-900neo aircraft. These means the average income from the aircraft so far is just shy of $70bn. By contrast, the A330-900s smaller brother, the A330-800 is not selling well. It has only sold 8 units. At a retail value of $259.9m, The aircraft has only made Airbus around $2bn so far. In an interview with Bloomberg on Monday Crawford Hamilton, the A330’s marketing chief told how the French manufacturer plans to compete against the B797. To achieve this, Airbus will rerate the engines to a lower thrust level. This will, in turn, reduce the fuel demands and takeoff weight of the aircraft. The B797 is currently expected to cost 40% less to run than the A330, so reducing the fuel needs of the A330 will be a big step into gaining the competitive edge. An artist’s impression of what the B797 could look like. The aim is that the new modifications will “completely close the gap between the single-aisle and the long-range”. The B797 is being created by Boeing to capitalise on this gap, however, if Airbus gets there first, they will gain a significant advantage. Airbus is additionally in the process of extending the range of the A321LR to create an A321ULR aircraft. Do you think the A330 will give the new B797 suitable competition? Let us know in the comments down below! Not in a million years it is an improved older design. Douglas tweaked the DC-9 to compete with the 737. Not so good. Yes. I think so. Of course, just seat mile cost. One of problem of the 800neo is the too big target range. Hardly anyone wants ~14 000 km. It makes heavy the 800neo, because too high take-off weight, too big wings and engines. It is “death weight” for significant shorter routes, like the 8-9 000 km where the B797 will be optimised. Smaller and lighter wing and engine make lighter OEW and TOW with same capacity shorter but competitive range. Yes but the R&D costs have been paid for a while on the Airbus which isn’t the case on the B797, and this is where Airbus will try to be competitive. Plus, there is the commonality within the fleet which is an interesting saving and simplification of the organization. There is a common type rating between the A330- A330 NEO – A350. Will it take all the market? Definitely not! But Airbus would be stupid to not make Boeing’s project more difficult. Boeing tries to kill the A330NEO… Both play the cards they have. Yes I believe a tweaked a330 800 neo will give the Boeing 797 a run for it’s money. Yes, maybe a tweaked 330-“700” neo…. Lower MTOW than the 800…., twin aisle, about 270 pax in 2 class lay out…. 5000 nm range.